The following case is an example of the successful root canal treatment of a cracked tooth. Tooth #19 was diagnosed as necrotic pulp with acute apical abscess. RCT was recommended to save the tooth. There was a large 10mm buccal probing depth, however, since the tooth was diagnosed as necrotic, this deep pocket is assumed to be endodontic rather than a true perio defect. During treatment, a crack is found on the distal under the resin. Using a microscope, the extent of the crack is evaluated. In this particular case, the crack extended to the level of the pulpal floor. This is an important part of the evaluation of a crack, and in my opinion, can really only be done with a microscope. A crack that goes into the furcation or down into the attachment below has a poorer prognosis. Pt is informed the the crack and the potential effect on the long term prognosis of the tooth. Pt is given the choice to continue RCT and save the tooth or extract. Bone has healed completely, tooth is fully functional and asymptomatic. This is successful endodontic therapy on a tooth with a crack above the crestal bone. 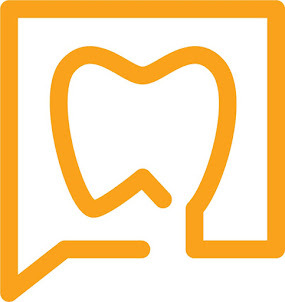 For more information regarding managing a teeth with a cracks, click here. Great post! The images of the x-rays help illustrate the point! I note this often. The impact of cracks has been perhaps misinterpreted. One must distinguish between split roots, cracked roots and VRF. Often they are all lumped together and given a bad name. There are limited reports on outcome of RCT on cracked teeth. Not all cracked teeth become split teeth. VRF is a totally different concept. This then creates misinterpretation of probing defects. Root canal is a procedure that is feared by most because it is expensive and they have the notion that it is extremely painful. However, it's benefits are extremely numerous. Very nice work as always. The important thing on a GP's end is patient was given all info and a choice. Excellent job. I would agree, this procedure is feared by most of the people. They're feared because this is expensive and the procedure would much taking time. But this procedure would benefit for everybody who has tooth problem. Often times the cracks are very fine and cannot be seen. A cracked tooth cannot heal itself. At first a crack may be small and unobtrusive. But if it is left untreated, the crack may progress further across the tooth or deeper into the tooth. Therefore, the sooner the crack can be treated, the more likely the tooth can be saved.